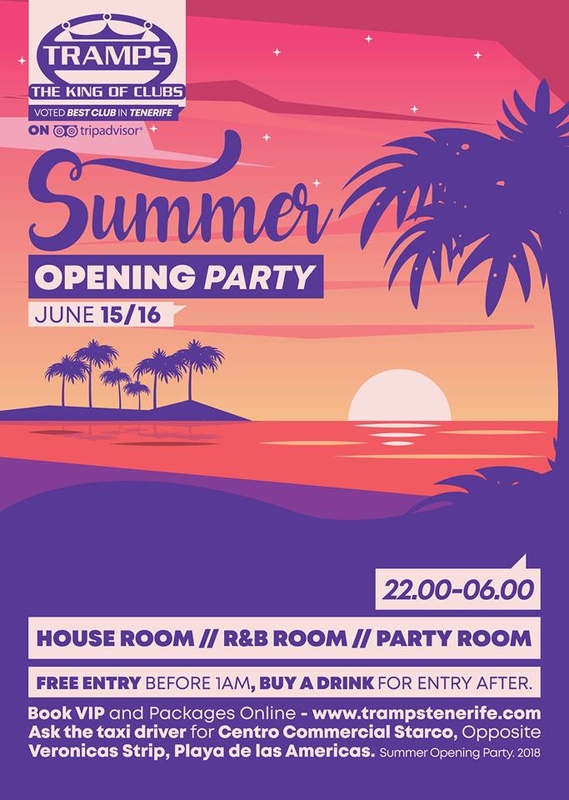 Its the moment you have been craving for all year long, its the time where you let loose, dig out your flip flops, get your drinking head into gear and ascend into Tramps for the best atmospheric party in Tenerife. Tramps will not let you down and give you the best party to start the summer imaginable in Tenerife. Pack your speedos/bikini get your flip flops on and get ready to party!